This is Part Two in a Three-Part Series. You can read Part One here. Our breastfeeding battle didn’t end with the unexpected psychological demands; our worst battle yet came from the most unassuming of places. 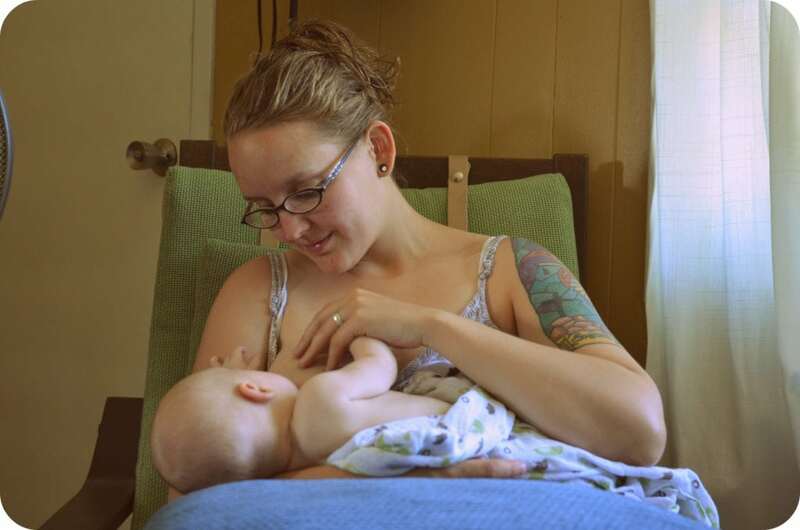 Our former family doctor (Dr. W) was nothing short of a disaster with regards to breastfeeding. It was the catalyst of events that drives me to compel parents to educate themselves and find good support. At 8 weeks old Ransom had failed to achieve more weight gain than a half an ounce a day, which was of little concern to the midwives who had held and played with Ransom and seen that he was thriving, but our care under them had ended and we were officially in the hands of our family doctor, Dr. W, who felt that his slow weight gain was dangerous to his brain development and overall health. At her insistence I began a steady regimen of nursing and pumping all day every day, adding the herbs, fenugreek and blessed thistle to increase supply (which made Ransom colicky). Still our baby remained steady at only gaining half an ounce a day, failing to achieve a level of weight gain that satisfied Dr. W.
Finally Dr. W told us that we HAD to supplement with formula. When I began to protest she began to interrogate us about our reasons against formula and continued to use her ‘scare tactics’ informing us that Ransom would not develop properly if we didn’t feed him formula. After a few minutes of mild ‘debate’ she concluded the conversation by informing us that if we did not give Ransom formula she would have to contact the Children’s Aid Society. We left the office enraged and terrified. Had it not been for the fact that we had an appointment at the Newman Breastfeeding Clinic in Toronto for that afternoon, we might have just thrown in the towel and begun researching formula brands. Even though we knew Dr. Jack was a leading expert in breastfeeding, after our appointment with Dr. W we were scared to step into the Newman Clinic. But our appointment was thorough, encouraging, empowering and informative (and over 2 hours long!). We were consulted by a team of people including a paediatrician and lactation consultants to whom we poured our hearts out. They were horrified that Dr. W threatened us and reassured us that even though Ransom was on the small side, he was perfectly healthy and they would help protect us if things got bad. They diagnosed Ransom with a tongue tie, which Dr. W had noticed but failed to think it was anything worth fixing, whereas the Newman Clinic clipped it immediately. I was also put on Domperidone to increase milk supply, which when it failed to do so, the clinic then suggested I take Moringa leaf powder which worked wonderfully and without the side effects fenugreek & blessed thistle had on Ransom. With reassurance after several appointments at the Newman Clinic, and support from friends who knew more about the legal rights of patients we set out to formally ended our doctor/patient relationship with Dr. W. We drafted a formal letter detailing their misconduct, and even a terrible mistake they made in Ransom’s chart which made it look like he dropped from the 25th percentile into the 3rd which we happened to catch, we also had the paediatrician from Newman Clinic send a fax to Dr. W which firmly stated that Ransom was perfectly fine and that they ought to (basically) ‘shove it’ for taking such a drastic approach. We called Dr. W to cancel our up coming appointments before mailing the letter and met with unexpected resistance. We were told that we HAD to come in. We were not allowed to cancel our appointment. Thankfully, now knowing our legal rights, we firmly declared that we were cancelling our appointment and we did not need to reschedule. That phone called ended with me saying: “It’s my legal right not to answer any of your questions.” and hanging up. We were tense about what might ensue from that phone call, and what might happen after they received our registered letter. But knowing we had support from Newman Clinic, our friends, and also knowing our rights made a huge difference, and helped us sleep easy at night. And thankfully nothing happened. It makes for a lame ending to a story but I would hate to think of the terror we would have lived through if this had ended more dramatically. We never in our worst nightmares dreamed that we would have to deal with such threats. 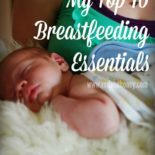 Had we never taken the time to learn about the benefits of breastfeeding, the potential hazards of formula, and find support in places like the Newman Clinic, and in people like our friends, we would have easily succumbed to the pressure of unnecessarily formula feeding our perfectly healthy babe. Have you experienced undue pressure towards formula feeding, or suffered from lack of support in breastfeeding tough times? Stay tuned for the third part of Naomi’s story, and please share your thoughts in the comments below. I had a similar experience with my GP. She actually said these words…”He looks like one of those babies starving in Africa. You know, with the big heads and skinny bodies, because the brain takes all the nutrients from the body.” She said that!!! About my perfect little baby boy! That was obviously our last appt with her ever again. And while my son was medically Failure To Thrive and we did decide to supplement him with some formula, the treatment was unjust. I was also worried about a call from CAS, mostly because I also worked for CAS at the time and knew that with the “wrong” worker they could have scooped up my babe for medical reasons. We decided to give my son a bottle of formula before bed and high fat foods throughout the day (avocado, lamb, salmon, olive oil) and plumped up right before our eyes. My “mommy diagnosis” isn’t that he was FTT, I really think he got weighed when he had a full tummy and before a good poop at the six month check up, then started teething just before the seven month appt and was due to eat. He has been fine! Wow! Your doctor tried to force you to give your baby formula just because he was growing slowly! I can’t imagine how traumatic that doctor’s threat must have been for you and your hubbie. Good for you for educating yourself and seeking out support. 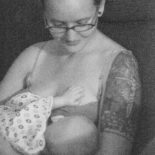 I breastfed my children beginning over 30 years ago, when breastfeeding was not that popular and doctors were not particularly supportive and there were no support systems at all, but I thought things were much better now.Thanks so much for being brave enough to share this! Good for you Naomi for listening to your heart and following through with the Clinic! I had a terrible time getting my first daughter to latch … if it wasn’t for the support of my midwife I would have never made it through. You will find though that this is the first of many struggles with others who have different views that you … follow your mama instincts … as you mentioned in another comment, it’s what makes you and your family happy that is the best. 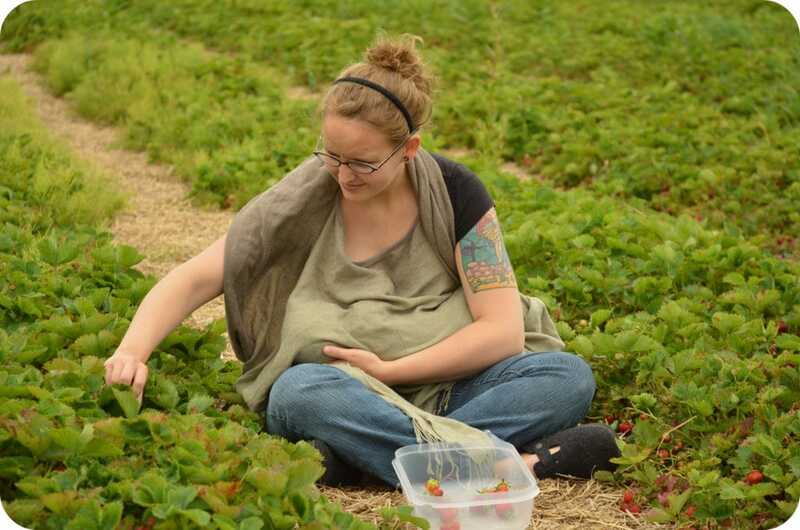 I very much believe in breast feeding and did so with both my daughters for at least a year plus and I believe it has helped with their health and their immune system greatly. My sister-in-law gave in to the pressures of supplementing with a formula bottle and of course it makes it more difficult to continue with breast feeding. Your supply goes down, the baby latches differently etc. etc. But she received pressure from her family and had to do what was right for her. You should report the doctor to the Ontario College of Physicians. It’s really easy and it’s confidential. I called them to investigate my own doctor before starting. They told me her specialties, training, and that the had been no patient complaints about her. It was really helpful – and my doc is as awesome as could be. It would help others to know that this doctor threatened you, etc. It might also help to give you closure on the matter. I am so sorry for what you went through. Terrible. So glad you were able to deal with it. Wow Marina, I didn’t even know that a patient could report a doctor to the Ontario College of Physicians for this type of thing – thanks for pointing that out! I thought the only recourse in such situations was finding another doctor. Good to know! Hi Marina. We do plan on contacting the Ontario College of Physicians. We have actually discovered there are many other people, including nurses, who have had problems with Dr. W. so we are hoping to maybe make a larger group complaint and have them investigated. Yup, the whole time Annalise hadn`t latched yet (took a month – Both the Newman Breastfeeding Clinic and a breastfeeding clinic they highly recommend, The Victoria Park Breastfeeding Clinic helped us tremendously during that time), moms would tell me that `just a bottle with formula now and then wouldn`t hurt.` It`s like if you believe that breast is best, and there`s the least bit of struggle, people suddenly insinuate you are being selfish – as if your doing this for yourself, not your baby`s wellbeing!!! Hi Marci – That is one reason I suggest people make sure their partner is dedicated to bfd’ing as well because of that weak claim that the father is missing out on bonding because he is not feeding the baby. Good for you for sticking it out despite your struggles!